Thank you for the post. 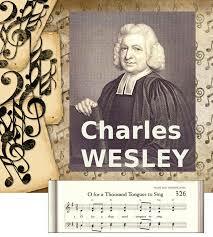 For more on Charles Wesley, please visit the website article on Charles at https://www.francisasburytriptych.com/book-series/characters/charles-wesley/. Enjoy the numerous articles, podcasts, videos, and articles about Charles Wesley, John Wesley, George Whitefield, Francis Asbury, and others.